Moving from primary to secondary school is a significant event in every child’s educational journey. Most students move to their new environment and thrive on the challenges and varied experiences that secondary offers. They can find it both exciting and scary going from being the oldest in the school to the youngest, from moving around a familiar environment to a larger and unfamiliar place, and from being well-known by many teachers to being relatively unknown. For some students, however, it is a wrench to leave the security of their primary school. They can lose their connection with school and learning at this time. That is why it is vitally important to make the transition a positive experience for all students. It is not uncommon for secondary staff to see themselves as starting from scratch. Similarly, some primary teachers may not see the need for anything more than a ‘handover’ at the end of year 6. Our programme of Immersion Days take place throughout the academic year. The day involves ‘learning walks’, meetings with staff and with students, plus Q&A sessions – and can also be tailored to individual requests to suit a particular focus. This means that primary teachers can confidently inform their students about life in secondary school, and secondary colleagues can challenge students to take the next steps in their learning. 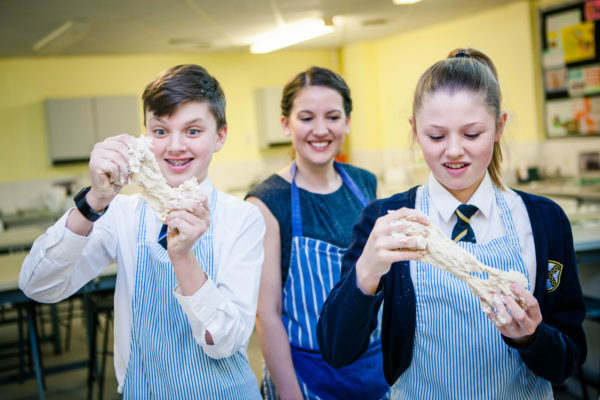 Our Immersion Days across the Diverse Academies have been a great success, and have given staff from both trust and other secondary, primary and special settings the opportunity to fully experience what life will be like for their students when they begin the next phase in their education. Our Immersion Days are open to all, including colleagues from both within and outside of the Diverse Academies. Please contact Elaine Charity (echarity@walton-ac.org.uk) to find out more and to book a place.